The first Amar'e-related sneaker to surface after the new Nike deal will be this Player Exclusive colorway of the upcoming Nike Air Max Sweep Thru. 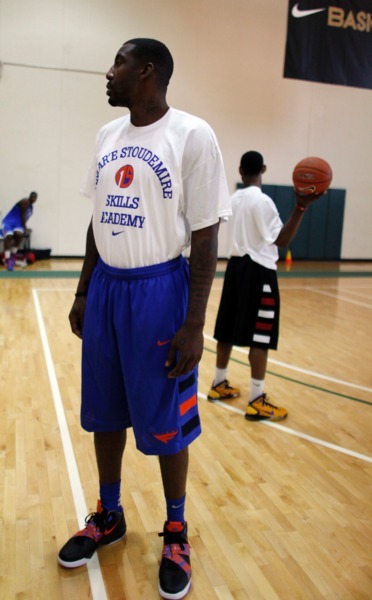 After exploring his sneaker free agency options over the summer, New York Knicks forward Amar'e Stoudemire decided to stick with Nike Basketball, who he's been with since entering the league back in 2002. Many found his decision surprising, considering his marketing potential as a signature athlete for other brands, as well as what seemed to be a reluctance to wear Nike Basketball Player Exclusives that were created for him. Instead, Amar'e famously rocked Knicks colorways of the Zoom Huarache Trainer, prompting speculation that he'd be taking his business elsewhere this season. That, however, ended up not being the case. 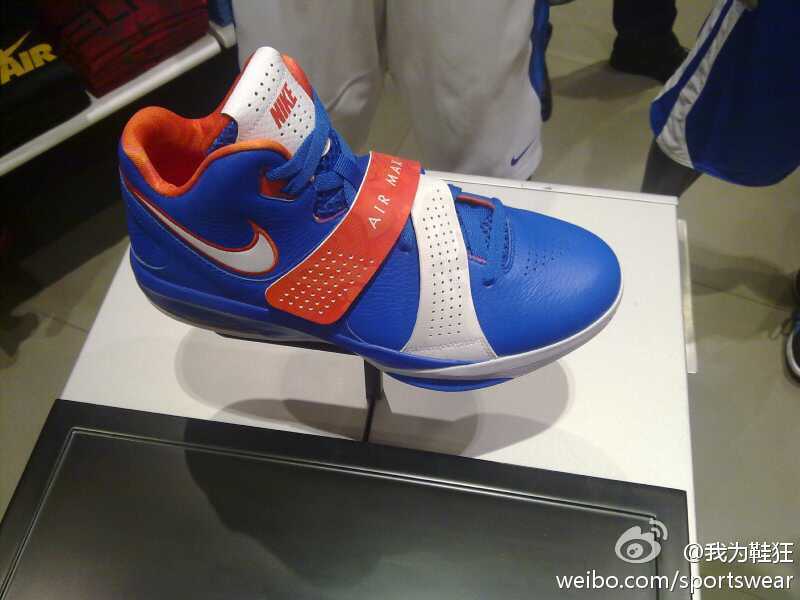 The first Amar'e-related sneaker to surface after the new deal (the Hyperdunk 2011 showed up prior to it) will be this Player Exclusive colorway of the upcoming Nike Air Max Sweep Thru. Perhaps giving Amar'e the feel of a trainer, the Sweep Thru is a strapped-up mid-cut basketball sneaker with a breathable mesh tongue, Phylon midsole, visible Max Air unit and herringbone traction pattern rubber outsole. Retailing for $85, the Air Max Sweep Thru will be released in October. 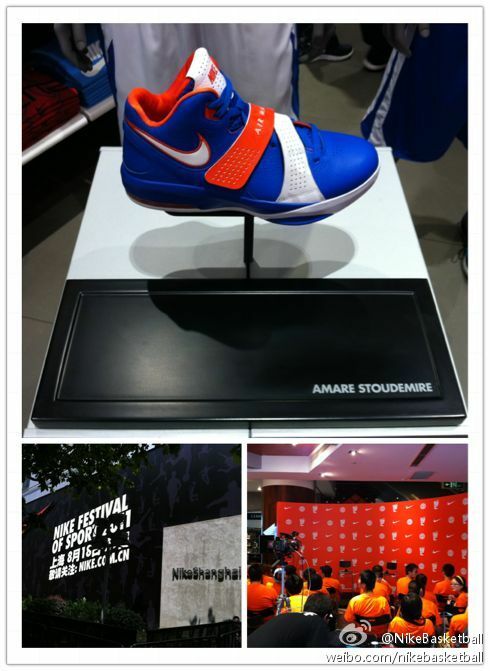 To the delight of many, home and away Amar'e Stoudemire PE colorways are also in line to be released. Look for those to be priced at $90 and available at more retailers than just House of Hoops.